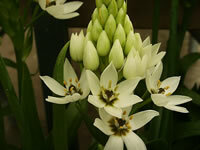 The Star of Bethlehem is a bulb type plant that produces upright clusters of fragrant 1-2" flowers in early summer. 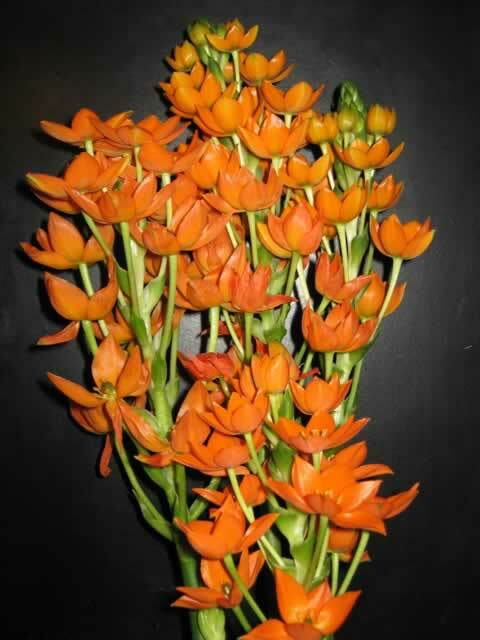 Ornithogalums can be grown in containers or as a House Plant These plants grow best in full sun but will tolerate partial shade in hotter regions. Well draining soil is essential or the bulbs may rot rather than blooming. They are easily grown from bulbs planted in the spring for summer flowering or in the fall for spring blooms in the following year. After flowering, Ornithogalum plants go into a dormant stage. Remove the old foliage after it dies back, then repot it in fresh soil, making sure only the base of the bulb is covered. Feed monthly with a water soluble fertilizer while in growth. Star of Bethlehem can also be propagated by offset bulbs removed from the cluster and planted 4" deep in the spring through summer.